Marvel announced last week that in cooperation with the online streaming service and library Netflix it was going to develop four new TV shows based on some of its properties and that these would then be brought together for a fifth encore show, very much like how Marvel’s Cinematic Universe Phase 1 was developed. The shows to be developed are: Luke Cage, Jessica Jones, Daredevil and Iron Fist. The encore show is to be called Defenders and will see the four heroes unite to form a superhero team. At first, it may seem weird that Marvel is going to Netflix, and not to a network or a cable company (if I get any terms confused, I apologise since I’m not familiar with them. Isn’t it better to go with them because of their built-in fanbases and be able to leverage them properly? That’s what I thought, but suddenly it made sense why Netflix had been chosen: internet service. That’s what it is all about these days: leveraging the internet to become successful. It applies for any creative medium and even non-creative ones in equal measure. It is on the internet where fans and reviewers express their opinions, where they pass judgement. It is on the internet where things can gain instant popularity. And of course, as a layman, my thinking is that Marvel/Disney can bypass territorial restrictions entirely with this. Release each episode online, stream it, and watch the numbers roll in. All of a sudden, tens of thousands, even hundreds of thousands or millions of viewers don’t have to wait up to a week to watch their favourite new shows. Because that’s the reality right now. Depending on the show and channel, I have to wait anywhere from a day to a week to watch some of my shows. And it is extremely frustrating. In cases where the new episodes are delayed too long, most discussion is already passed and the new episodes are due, speculation and discussion for which is in full swing. So what do international viewers gain? Additionally, I’m sure that this will have some impact on piracy as well. Let’s face the facts here: the more a show is delayed for international viewers, the more that show is going to be illegally downloaded every week. People are impatient and they want instant gratification. Due to territorial restrictions and rights laws, it is unfortunate that things have come to this. And this is only when we consider those territories where the shows are broadcast later. What of countries where the shows are not broadcast but there is a thriving fan community? You see the problem. Or at least a part of it. There is a lot more that can be said abut this new move by Marvel/Disney. And the secret ingredient is in who these characters are. Luke Cage. A street-level hero who is black. He’s been a part of various Avenger teams in the past. He has also led his own team at one time or another, the Heroes for Hire. Currently, he is the nominal leader of the Mighty Avengers, a new ongoing series being written by Al Ewing and drawn by Greg Land. 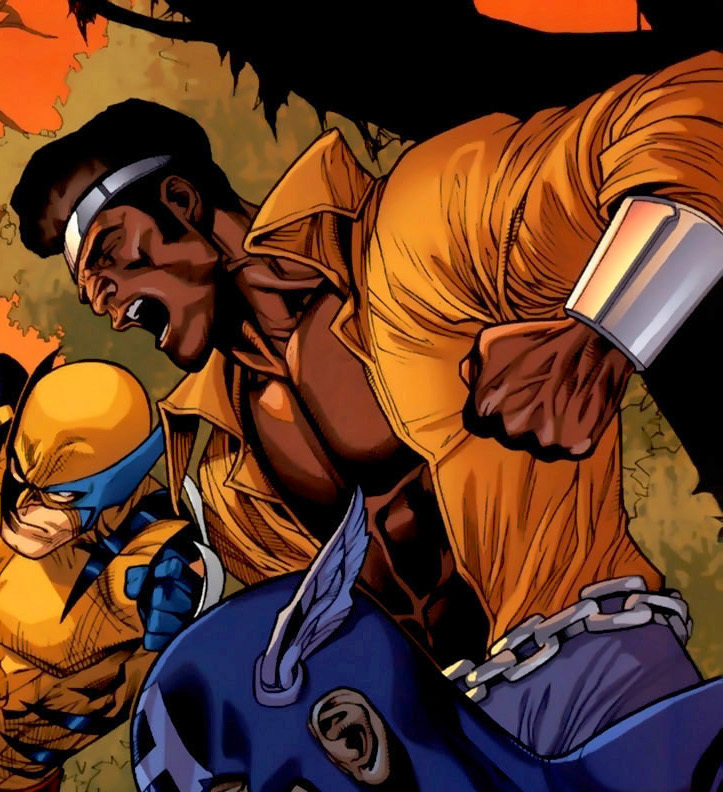 The team is itself composed of various POC heroes, man of them similarly street-level as Luke Cage. My understanding is that he’s been around for a long time, and is a major character otherwise. Jessica Jones. I don’t know anything about her other than the fact that there have been previous attempts at a live-action show with her, the latest being AKA Jessica Jones. What matters is that Marvel is pushing a lesser known female character into a prime television spot, giving her a series of her own that will see her take the first steps into becoming a major character in the television medium. What’s not to love? I dare DC/Warner Bros. to do any better. Where they continually fail to develop a Wonder Woman television show, Marvel has already committed itself. Daredevil. Sure, he’s already had a major motion picture made about him and he’s a popular character right now under writer Mark Waid who is, by all measure, turning out one great comic issue after another. My reason for appreciating Daredevil being included in this line-up has nothing to do with any of that however. 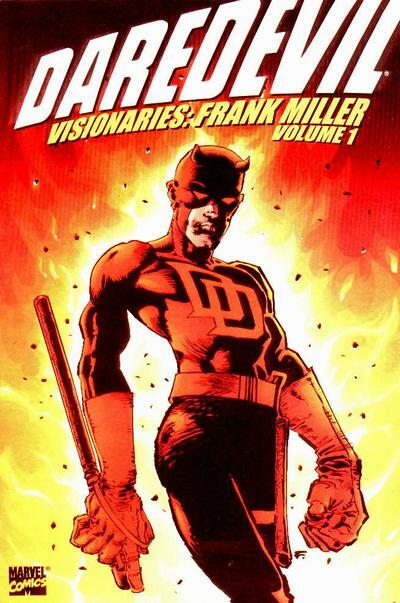 It is about what he represents: Daredevil is a disabled superhero, he is blind and yet he continues to be a hero in both of his own identities, whether as the superhero or in his secret (or not-so secret) identity as laywer Matt Murdock. Iron Fist. He’s another minor character in the Marvel universe, someone who doesn’t appear to really have made it all that big, but has enjoyed a long association with Luke Cage and the Heroes for Hire. And he has been an Asian character on and off, though it appears that originally he was a white male hero. Where Wiki proved to be a little confusing, Twitter tells me that Iron Fist at various points has been Asian and also female. So I wonder how Marvel is going to treat the character this time. This is in relation to my post from a few days ago: Diversity in All-New Marvel Now. Marvel is going for diversity in not only its comics, but also in the television format. Now, they just need to embrace that diversity in the movies as well, where they are batting much lower, and there is some sort of unwillingness as well. Out of all this, Marvel is going to eventually bring these four characters for a Defenders live-action series, which is going to give us a major superhero team for the first time in a long age. We had DC’s failed Birds of Prey some time back. And (also) DC’s successful Smallville which often paired a young Clark Kent with various other heroes but they never actually became a proper team with a name and an identity. What’s not to love about all of this? I think this is a fantastic move for Marvel. They have, in a single stroke, given the middle finger to DC and told fans that they will do what it takes to bring more characters to life on both the big and small screens. 2015 is going to be the year for Marvel, unless DC comes up with something. Posted on November 12, 2013, in Comics News, Editorial, News, TV Show News and tagged Comics News, Daredevil, Diversity, Editorial, Heroes For Hire, Iron Fist, Jessica Jones, Luke Cage, Martial Arts, Marvel Comics, Netflix, News, POC Superheroes, Power Man, Superheroes, Superpowers, Television, TV Show, TV Show News. Bookmark the permalink. 6 Comments. They can’t be any worse than the abysmal S.H.I.E.L.D., and if Netflix holds their ground against the mediocrity of Marvel and comes up with something as good as their own House of Cards or Orange is the New Black, we might have something to look forward to. Jessica Jones is a character that Brian Michael Bendis invented for the Marvel universe. She features in her own title called Alias (not to be confused with the popular spy genre TV show of the same name from around that time featuring Jennifer Garner). This was back when they had a MAX line at Marvel, comics aimed strictly at adults, so they could put, within reason, whatever they wanted in them. Alias is still available in print and I highly recommend it. It focuses on Jessica, who is a PI, and as the story unfolds, we gradually learn that she has some powers (she’s really strong etc), she has connections to other Marvel characters (Carol Danvers, Luke, Danny Rand) and that she used to be a superhero. But all of that is in the past and now she’s just a PI. But like all good PI stories, she gets thrown in at the deep end on various cases. 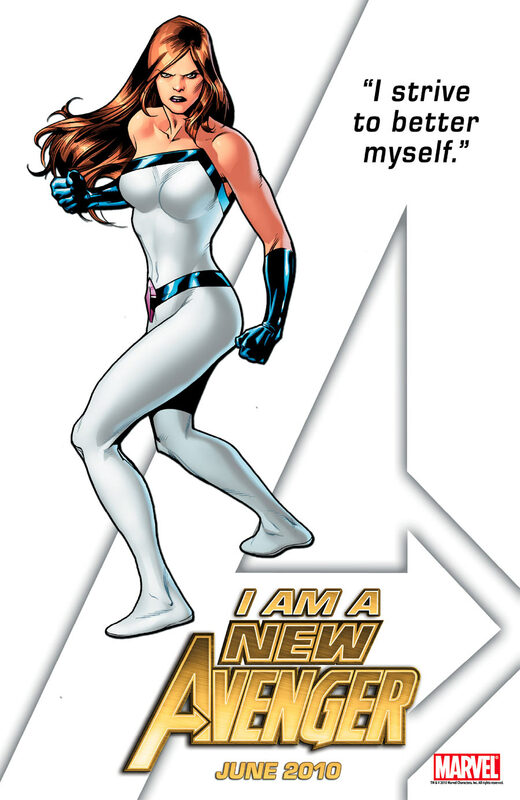 Since Alias ended, Jessica appeared in several other Marvel titles, her relationship with Luke developed, they had a baby together and then she rejoined the Avengers. That’s the soup to nuts high level stuff. Danny Rand is a billionaire with a company named after him, like Tony Stark, but unlike Stark he didn’t build his powers in a cave in the desert and his company doesn’t make weapons. He went on a mystical journey. I think the character came from the period here Bruce Lee and Kung Fu was huge, although I may be mistaken. For the longest time Marvel continuity said Danny was the first Iron Fist, the thing about him being Asian or female is that more recently, they introduced the idea that Danny was merely the first of many Iron Fists, and that there has always been one throughout the centuries. So Iron Fist has been both genders, every race more or less. Brubaker and Fraction introduced the concept during the Iron Fist run from a few years ago. It’s also worth checking out. There are also other Immortal weapons out there, and other mystical cities, which is where Danny went on his quest. 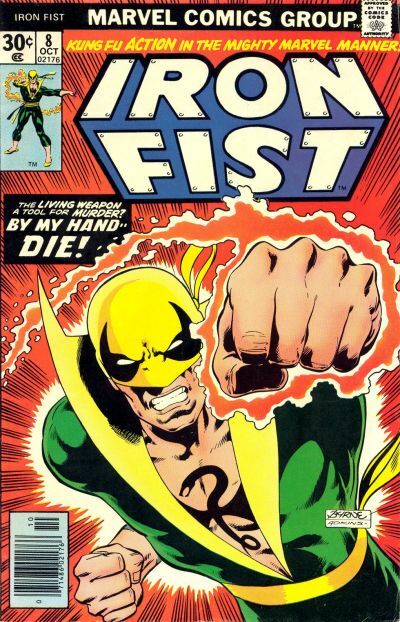 I suspect Danny will be Iron Fist. Both he and Luke had solo series, then they were together in Heroes for Hire (with other characters including Misty Knight and Colleen Wing). Within certain limits, all of these characters have fairly covert powers, so it will be a bit cheaper to do on TV. Regardless of that, I’m really excited by all of these and the potential, as one character will inevitably bleed over into the next series and the next, so the cast will continue to grow until we finally reach the official crossover. I’m definitely excited for this. Got a bunch of Iron Fist comics from comixology yesterday. Will be giving them a read soon. I’m highly excited as well. Seems like they can do a lot of things with this concept. One place that DC has always done well (DC/WB Animated Features) and Marvel hasn’t has been small screen. This to me seems like a great way to get in w/o the requirement of the Big Networks requiring a certain rating to keep a show. I’ve seen a few of the Netflix Originals and their quality isn’t that bad. Marvel has put out quite a few animated shows over the years, but I don’t think any of them have really captured the same mindset and the same audience as DC’s Superman, Batman and JL shows did, other than Spider-Man and the original Fox X-Men maybe. And in live-action, well, DC has the upper hand with Smallville and Arrow. Marvel, to my knowledge, has only had Agents of SHIELD and that show is in murky waters right now, but they can pull it back if they try. Finally yeah, the lack of a certain rating floor requirement is exactly why I think these shows can really work. The creators don’t have that kind of a corporate stress feeding into their plans.